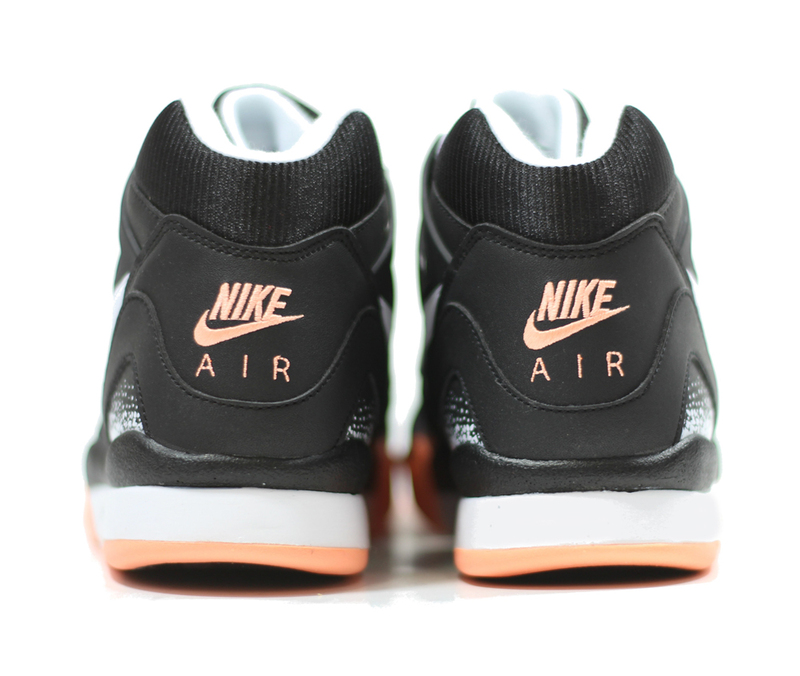 The latest in Agassi retros. 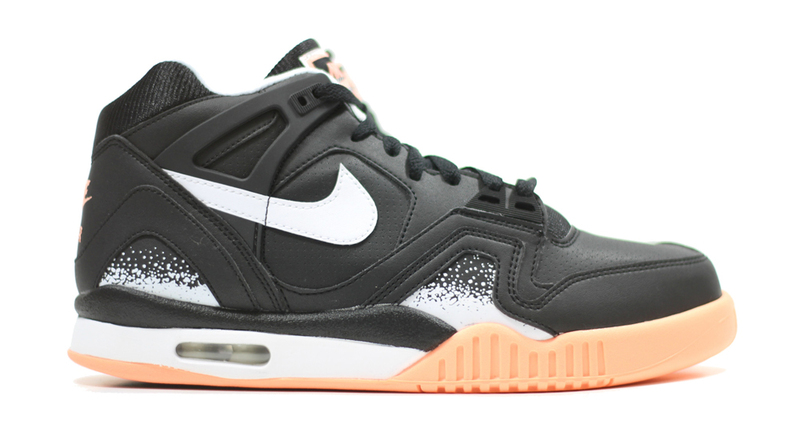 The Nike Air Tech Challenge II has been quiet in 2015, allowing other Agassi models some time in the spotlight. There was a stray pinstripe pair previewed at the top of the year, but other than that, there hasn't been much going on with this classic Nike tennis design. It's popped back up on the radar via this black and sunset glow colorway, which first found its way online last year in the form of some flat renderings. 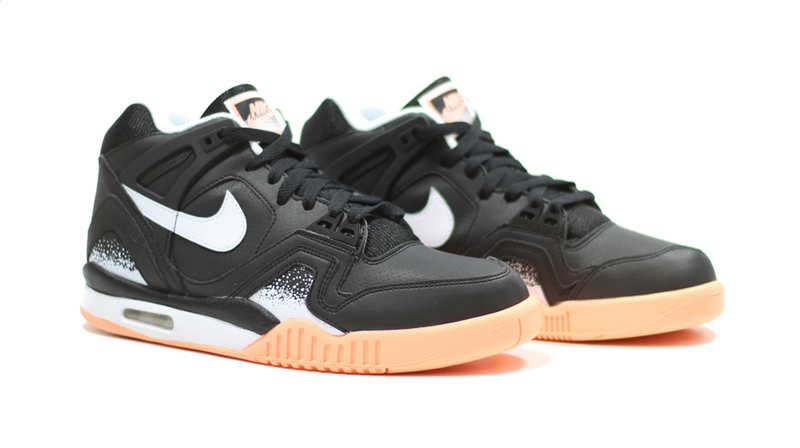 This Nike Air Tech Challenge II style is available now at accounts including Heist NY.